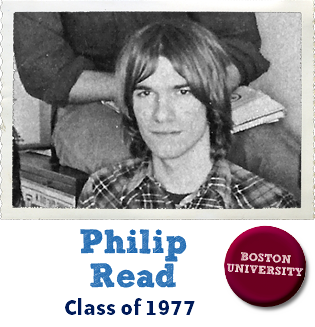 I was always interested in politics, coming of age amid the Kennedy assassinations and the slaying of Dr. Martin Luther King Jr., and was a 17-year-old volunteer for George McGovern in 1972, before I started at Boston University. 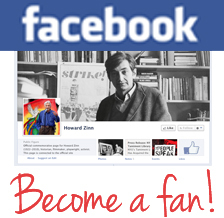 I took Howard Zinn’s political science course in my junior year and will never forget the sincere story of his political transformation while a bombardier targeting civilian sites over Nazi Germany. It was so genuine. 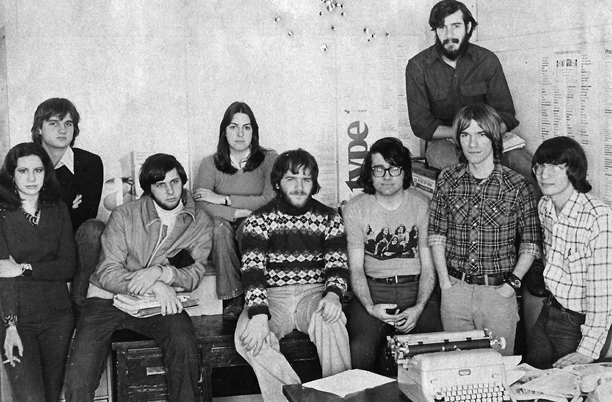 I ultimately embarked on a career in journalism (after a long stint at The Freep; that’s me, second from right, as a managing editor with the rest of the editors). Not many years ago, Zinn was the speaker at Montclair High School in New Jersey, telling those same stories to a new generation. I was covering it (I assigned myself) for New Jersey’s largest newspaper and got to meet him anew backstage. He didn’t seem to have changed a bit. Truly, a remarkable man whose faith in his message never wavered and rightly so.